Software escrow (or source code escrow) services are most commonly used to store a software developers’ source code. In the event that the software developer can no longer meet their obligations, the source code may be released to the end user. This ensures that the end-user can continue to operate their business as usual. For end-users; software escrow is an essential part of modern technology services contracts. It not only delivers compliance with best procurement practices, but most importantly it also reduces the risk to your business. For software developers; it improves the marketability of your software and demonstrates a willingness to reduce the risk of doing business with you. Harbinger Escrow Services is Australia’s leading escrow agent that has an unique online lodgment and monitoring system. By leveraging the latest in technology and data security,Harbinger provides the most efficient method of implementing escrow arrangements. We provide and administer escrow services – including electronic lodgement, verification, reporting, alerts, software auditing, technical and legal services for some of Australia’s best known companies. 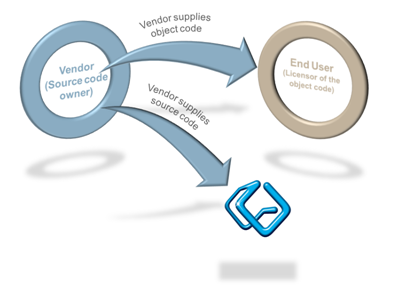 Harbinger allows vendors to securely lodge their software source code and other related data. It also allows end users to monitor the vendor’s compliance with timely and regular lodgement. Harbinger also provides traditional lodgement (CD, tapes, etc) and vaulting (physical fire-proof safe) if this is preferred. Where does Harbinger store escrow deposits?